The effects of trapping anharmonicity on the expansion of a Bose–Einstein condensate (BEC) that is suddenly released from a one-dimensional power-law trap into a hard wall box potential are presented. It is chiefly found that trapping anharmonicity, from a general point of view, has no influence on the qualitative behavior of the dynamics apart from the fact that a higher power-law exponent leads to a faster expansion of the BEC. The evolution of the density distributions, both spatial and momentum, the self-similarity of the spatial density at later times, and its connection to energy components and their dynamics, such as the zero-point, interaction, and kinetic energy are examined. By a decomposition of the wavefunction via modal coefficients, the basis being the harmonic oscillator states, the dynamics of these coefficients are determined. The latter shows that high states become occupied as a result of the BEC expansion. Moreover, the information entropy is evaluated from the latter coefficients that particularly displays a time behavior in the form of small oscillations at long times arising from the interaction with the walls. When the BEC collides with the hard walls of the box potential, it is found to be in a very highly excited state. As such, it is demonstrated that a future need for the practical recapture of an expanding BEC requires methods that suppress the resulting excitations if a reexamination of the ground-state in the “recapturing confinement” is needed. 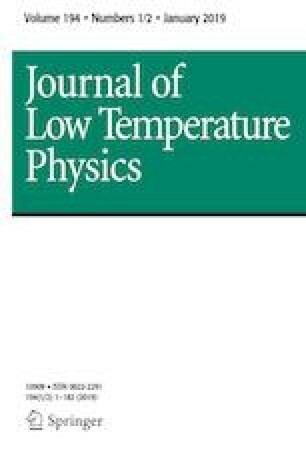 In passing, the important role played by the width of the wavefunction is once again revealed as in previous work (Sakhel and Sakhel in J Phys B 50:105301, 2017). We propose experiments for the measurement of kinetic energy as a function of time for this type of investigation. For example, an in situ measurement of the momentum distribution reveals information about the latter. The current results on the density dynamics can be also verified experimentally. We would like to thank Petar Jovanovich at the Scientific Computing Laboratory, Institute of Physics in Belgrade, Serbia, for helping us with the parallelization of a code. In what follows, the parameters of Eqs. (49) and (48) are presented which are obtained from fits to the densities \(|\psi (x;t)|^2\) at various times.